Regular readers of Australian Food News are well aware of Woolworths’ recent travails. From its failed venture into hardware through Masters to other failed management strategies, Woolworths over the past 24 months has lost considerable market recognition as a previous leader. But are things finally starting to look up? After Chief Executive Officer of Woolworths, Brad Banducci, recently revealed more of his plan to turn the group around, there has plenty of analysis indicating that a turnaround will occur, it just might not happen fast as Woolworths may like. After the restructuring update was announced, which included culling 500 head office jobs, finance company, UBS said whilst the Woolworths group has “strong bones” and issues can ultimately be corrected, UBS expects the turnaround will take longer and cost more than expected. Credit Suisse said that it agrees with Woolworths’ turnaround plans buts says it does not have any reason to upgrade its credit rating yet. Credit Suisse said Woolworths was undertaking “textbook retail restructuring” and that things like performing refurbishments should improve sales growth and addressing supply chain costs at its department chain Big W all amongst a number of positive steps. “That said, there is unlikely to be a substantial opportunity to upgrade supermarket earnings expectations due to low opportunity for earnings-before-interest-and-tax margin or market share expansion from the current forecast,” Credit Suisse announced. In May 2016, Standard and Poor, had downgraded its credit rating for Woolworths. Senior Analyst at Stocks in Value wrote in The Australian on 9 August 2016 that there was no doubt that Woolworths will turn around, yet he also believes it would take time and that there would be other companies for investors to put their money into in the meantime. Walker noted, after analysing Woolworths in depth and from witnessing other large-cap ASX turnarounds, that the company will eventually be better managed than it has been in recent years, but it still will have Coles and Aldi hot on its heels. He suspects Woolworths will need to further invest in price cutting strategies to fight the perception it has become a more expensive supermarket option and he is concerned the possible entry of German discount supermarket, Lidl, could provide even more competition. Writing for The Conversation, Professor of Management at the University of New England, John Rice, and a lecturer at the College of Business and Economics at the Australian National University, Nigel Martin, also expressed concern regarding Aldi’s power over Woolworths future. The article defends the many advantages Aldi has running its supermarkets the way it does. “The focus of Aldi has so many benefits –lower wastage, more reliable and economical supply arrangements and more efficient in-store logistics. These are the fundamental drivers of profitability that Woolworths simply cannot replicate,” the two wrote. They concluded Woolworths still may have tough times ahead. “So, taken together while the times are tough for Woolworths, they may well be about to become tougher still. 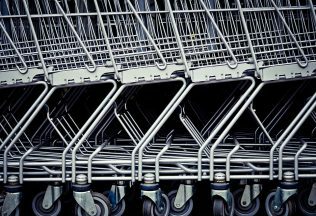 Buying Woolworths shares at their current level may well be a great idea – or we may yet see its shares plummet again as the realities of its huge fixed costs and shrinking margins combine to see more long term pain for the company,” they concluded. Lindt is expanding its Australian presence, opening a new retail store in Canberra. American chain, The Cheesecake Factory, is bringing its cheesecakes to Australia for the first time.